Let’s face it, you know you need to promote your business on social media. In fact, around 2.56 billion global social media users join the ranks each day on mobile, creating an astronomical audience for companies of every shape and size. The question is, which social platform should you be spending your marketing moola with? Facebook and Twitter are essentially the crème de la crème of social networks. These senior class channels have outranked sites like Pinterest for decades, and their versatility makes them perfect for connecting with a broad audience. Though both platforms have seen their ups and downs lately, they remain the most popular choice for many marketers–and for good reason. Twitter and Facebook are adaptable, innovative and ready to pivot to suit the needs of customers. What’s more, Sprout Social integrates with both! So, if both channels are so great, how do you decide between Facebook vs. Twitter, and which one you want to use? Choosing the right channel for your company when it comes to Facebook vs Twitter isn’t just about finding the “best” platform, but one that allows you to connect with the right audience. Facebook is easily the most active social media network, particularly when you consider it owns WhatsApp and Instagram. This unique channel appeals to a range of generations, who seem to be drawn to the idea of connecting with their family, keeping tabs on friends and making sure that they have access to their favorite brands too. On Facebook, one of the fastest growing markets is seniors. Over recent years, the channel has become increasingly appealing to baby boomers, with around 41% of individuals between 65-74 years-old logging on with a Facebook account. If anything, this is a testament to Facebook’s ease-of-use and accessibility. 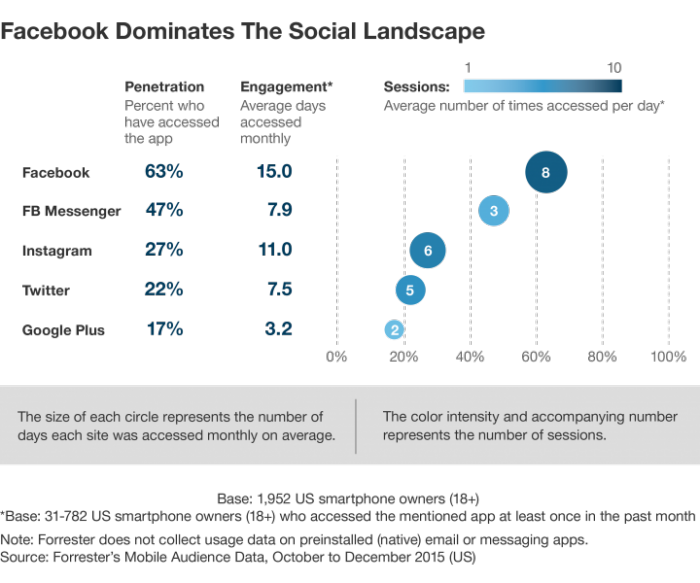 However, these statistics also indicate Facebook may no longer be the “trendy” platform of the day. 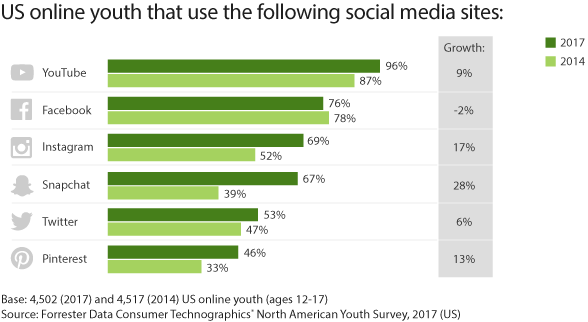 Despite a drop in online youth, of course, stats still show that Facebook is leading the pack for overall audience penetration. On the other hand, Twitter demographics show 23% of its users are between 30-49 years old, while 36% are between the ages of 18 and 29. This fast-paced channel appeals more to younger customers. Despite its relatively small monthly user base, Twitter has another advantage for audience access. This platform isn’t just popular with the average consumer. Journalists, politicians and celebrities all frequently use it too. This means that Twitter is often the place to find trending news. Do plenty of research to discover where your target customer spends their time, then use your data to determine whether you’re better suited to Facebook or Twitter. Engagement is the key to success on social media. According to one study from Forrester, for every one million Twitter followers, brands can expect about 300 interactions. On the other hand, for every million Facebook followers, there’s an average of 700 interactions. Other studies suggest that Facebook users leave roughly 5 billion comments on brand pages every month. Perhaps one of the most obvious advantages Facebook has over Twitter is that companies have more time to make an impact on their audience. Tweets can get wiped off a stream within a matter of minutes, meaning that brands have to constantly post just to get in front of the right people at the right time. Another point worth noting is how “addictive” Facebook is according to statistics. In the graph above, showcasing how often Facebook users access their social apps during the day, you see that the average customer logs on at least eight times during a 24-hour period, compared to only five times for Twitter. However, it’s worth noting that Twitter does face a common problem faced by many business owners. The fast-paced nature of this social platform helps companies to communicate with customers who are easily-distracted and overwhelmed by short attention spans. In other words, it gives you a chance to hone your message into conversion-ready bite-sized chunks. Importantly, Facebook and Twitter aren’t necessarily meant for the same thing. Twitter is a fast-paced way for customers to discover new content and see what’s trending in their social world. Facebook, on the other hand, is about connecting with family and enjoying moments of deeper engagement. Twitter is like an elevator pitch for your brand–a way of getting your point across quickly and connect yourself to important news topics. With “Live Events,” you promote your content to a wider audience and achieve some great social PR. While Facebook is a great platform to use when you’re reaching out to customers, it’s much harder to get likes on a Facebook page than it is to earn a follower on Twitter. Companies with Facebook accounts often must work much harder to engage their audience. While Facebook does allow you to share more information than Twitter, it also requires a more in-depth marketing campaign. One of the elements that both Twitter and Facebook have experimented with is video. As customers from almost every background shift toward visual content, video has become a great way for brands to connect with their followers. Twitter purchased Periscope to stream live video to clients, helping brands to show off their authentic, transparent side. Facebook then followed up with a similar approach in the form of Facebook Live – one of the most popular streaming services in the world today. Since it launched in 2015, Facebook Live has grown by over 330%. According to statistics, Facebook users watch around 100 million hours of video each day. 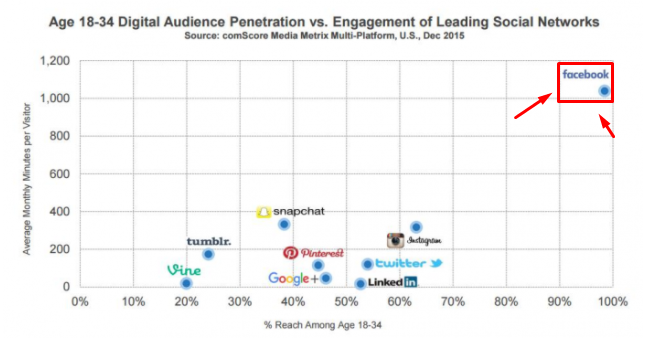 This means Facebook is now contending with YouTube for viewership. Knowing how your followers use their social channels could be the key to making sure you launch the right campaigns for engagement. Finally, when it comes to social media advertising, both Twitter and Facebook make it easy to establish and track campaigns for your brand. One of the biggest benefits of Facebook Advertising is that it offers targeted reach for customers. Narrow your search until you’re focusing attention on only the clients most likely to purchase your products and services. This will help keep prices low for your paid campaigns. However, it’s worth noting that Facebook Ad prices are only going up. According to the 2017 Earnings Report delivered by Facebook, the average price per ad increased by 35% during 2017, while ad impressions only increased by 10%. 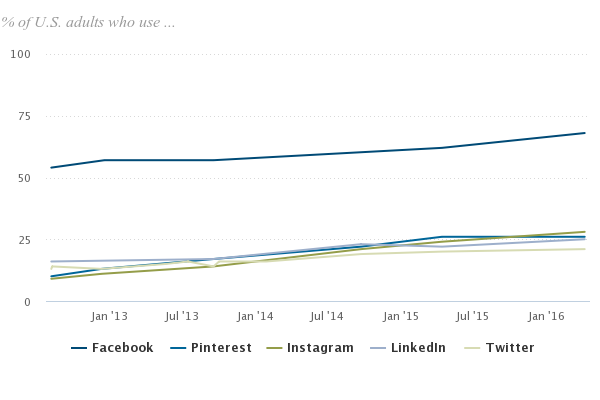 The popularity of Facebook means the space is more saturated. Companies need to try harder and spend more to get the attention of their audience. On the other hand, Twitter might not be as focused as Facebook when it comes to targeting, but it’s a lot less competitive. With the right Twitter tools, you can use lead generation cards and other resources to get leads and stats for your campaigns faster. With the power of Sprout Social and Simply Measured together, it’s easier to measure ad strategies to see what’s most shared publicly and privately. Our tools help brands gain a competitive advantage within your industry so you’re confident with your social media efforts. Give us a try today! Pages to watch: This feature allows companies to keep track of competitor pages, which help you create a more compelling advertising strategy. Apps analytics: This feature helps brands understand how people are using their Facebook app. Facebook Messenger for Business: A more recent feature of Facebook advertising, this chat solution allows customers to ask questions, or send queries to companies for a quick response. Detailed analytics: Under your “posts” tab, you can tap into the detailed analytics of your posts, audience, engagement levels and so on. This makes it easier to assess the success rate of each campaign. “Go Live” buttons for Periscope: Like Facebook Live, you can simply click on the “Go Live” button when composing your tweets to broadcast your thoughts directly to Twitter users. Twitter Cards: Gather emails and generate leads for your brand easier than ever. 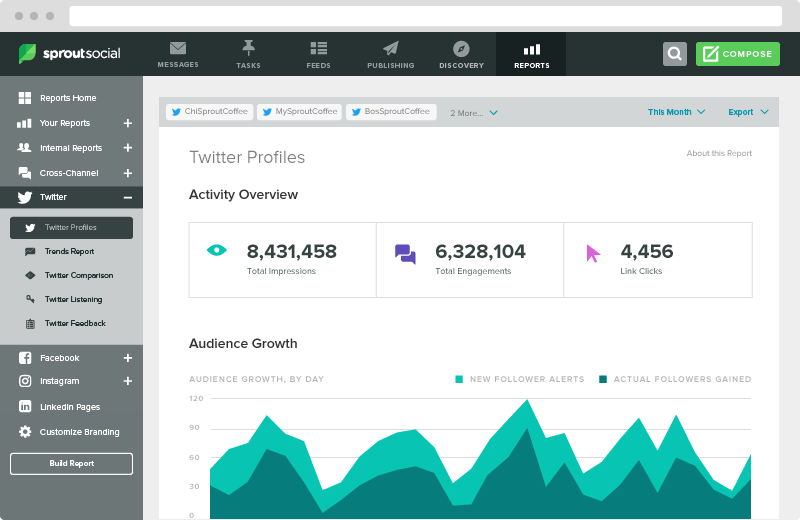 Also track your ROI from Twitter Ads and see your stats on each campaign. Anti-harassment features: Make sure you’re building a strong reputation and generating trust with your audience with anti-harassment features intended to make users feel safer on the Twitter network. If you’re not using a paid advertising campaign on Twitter or Facebook, then the best thing you can do is use a tool like Sprout Social for social media management to assess your performance. This will ensure that you can see what kind of engagement your Tweets and Facebook posts are getting. Ideally, it might be helpful to start by posting a few messages on both Facebook and Twitter, so you can evaluate which one is giving your specific brand the best results. Ultimately, it will be up to you to decide whether Facebook or Twitter is right for you, and your marketing campaigns. Just because Facebook has a wider reach doesn’t necessarily mean it’s the best choice for every company. The fast-paced nature of Twitter, along with the fact that it appeals to world leaders, politicians, and journalists can make it ideal for organizations who want to stay ahead of the curve. Both Twitter and Facebook deliver information and spread brand awareness in unique ways. While there may be some user crossover, each platform serves brands differently, which is why most companies prefer to use a combination of both channels in their social media marketing campaigns. To determine which solution is right for you, experiment with a profile on Twitter and Facebook, test your results and try to find a healthy balance between each channel.